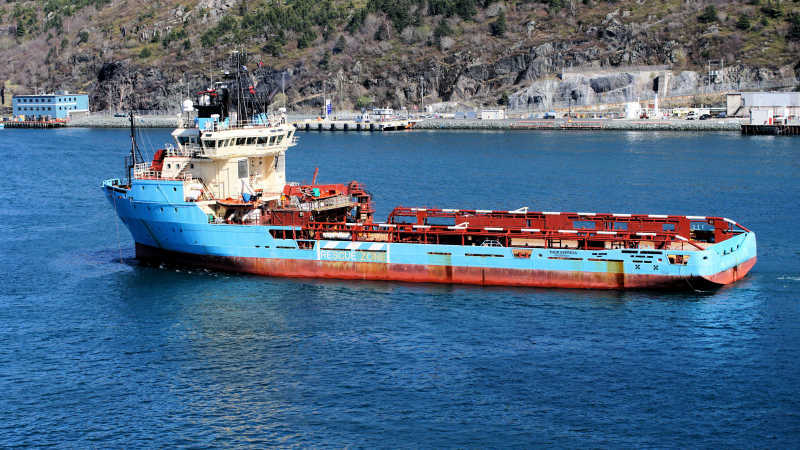 Thor Express, formerly "Maersk Norseman", departs St. John's en route Emden. Danish Flag. This photo has been shown 1,276 times since it was added to the site.